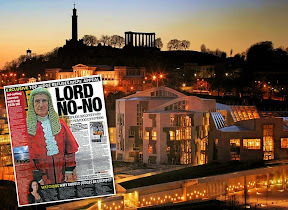 Parliament House exhibition - Scotland’s seat of judicial power A YEAR in the life of Scotland’s Parliament House - the seat of almost invincible, untouchable and certainly – inflexible judicial power can be a frustrating, trying, and somewhat onerous one to bear. 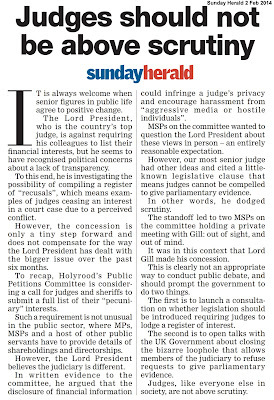 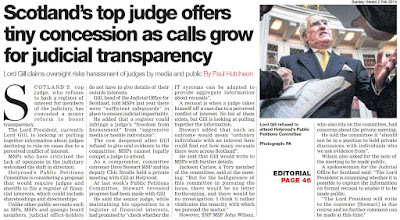 The past year has seen Scotland’s top judge again called to account for his aggressive posture against transparency on judicial interests. 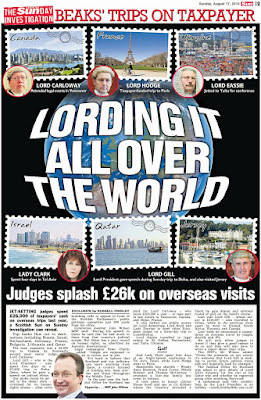 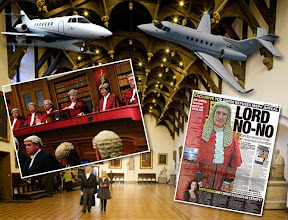 Judicial air junkets again came into focus – revealing state visits to Qatar and the judiciary’ jet set life style - flying round the globe at taxpayers expense. 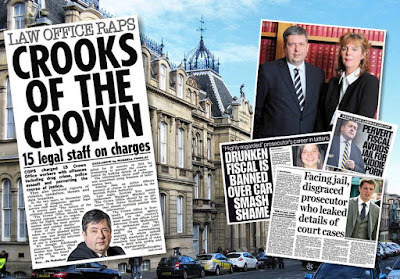 Explanations of attending boring law conferences are always put forward – but suspicions linger m’luds are not always – as Princess Leia claimed – on a diplomatic mission to Alderaan. 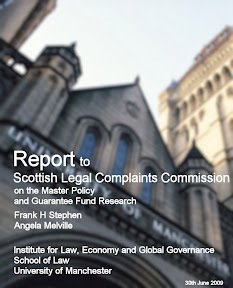 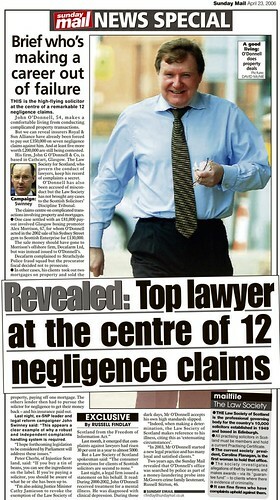 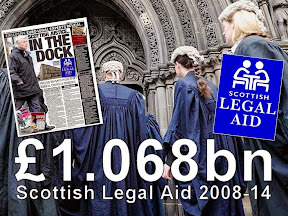 The shocking revelations from an investigation by Land Reform campaigner Andy Wightman that land titles to Scotland’s top court buildings were simply handed over by Scottish Ministers to the overpaid Faculty of Advocates before £58million of taxpayers money was spent on the somewhat "Victorian" court buildings (a £58m refit originally budgeted for £120m). 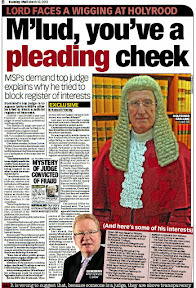 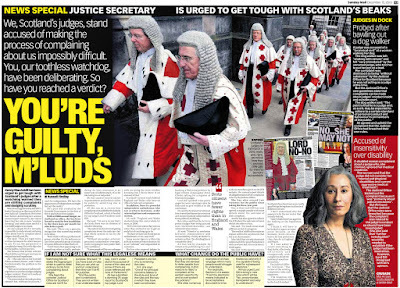 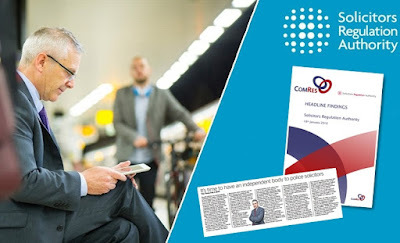 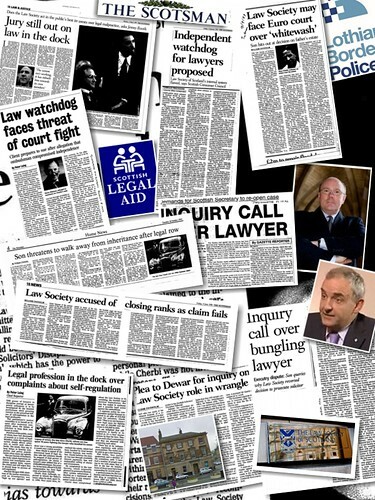 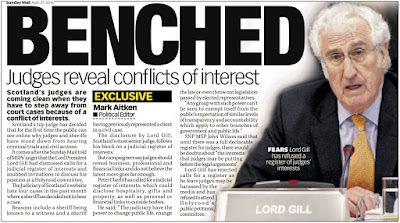 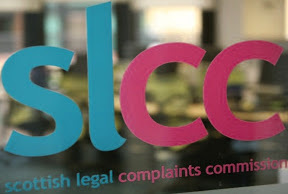 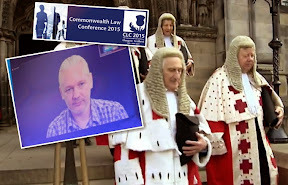 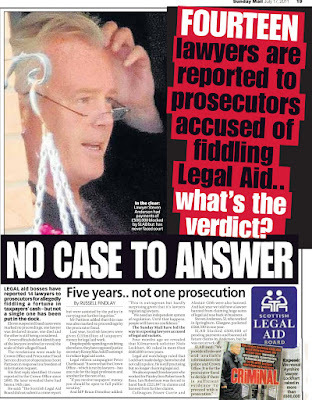 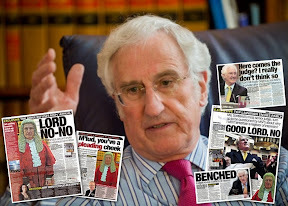 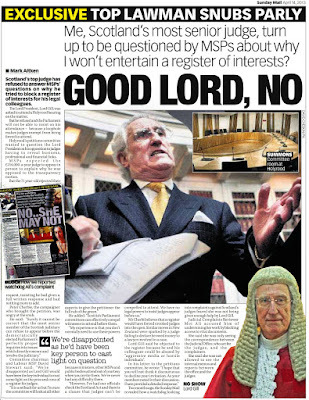 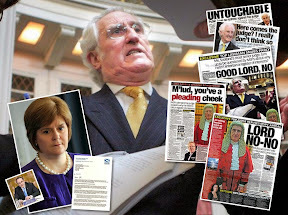 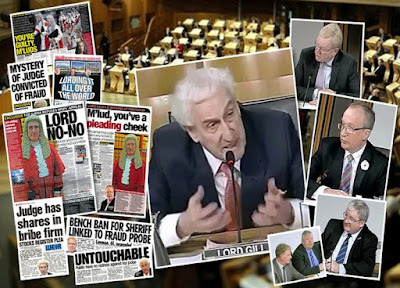 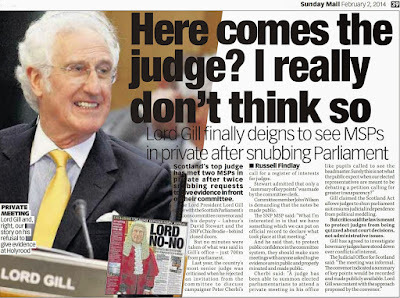 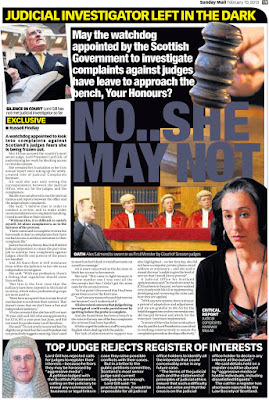 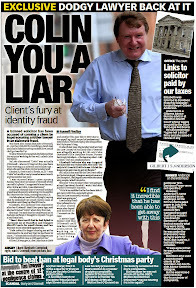 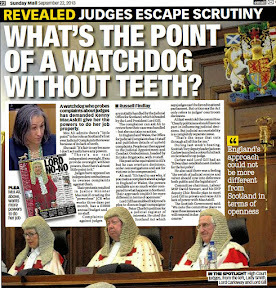 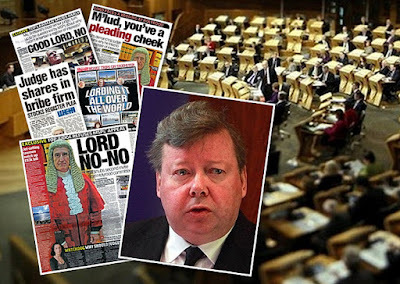 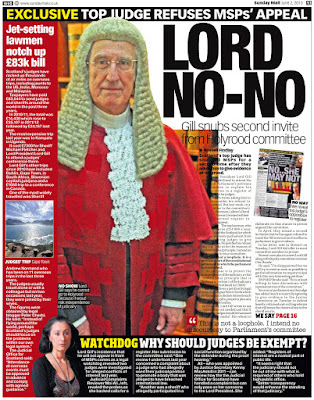 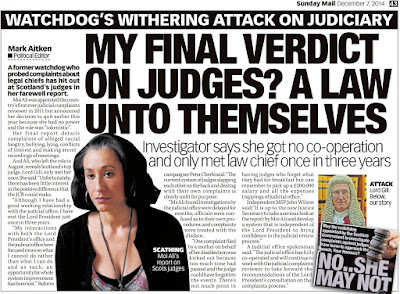 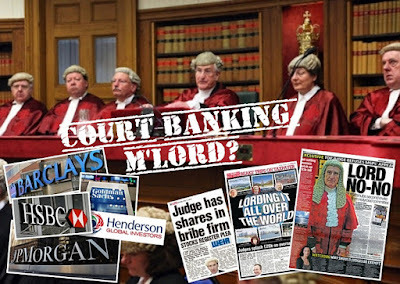 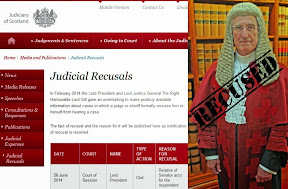 Then, there was the episode where Lord Gill – Scotland’s now former top judge became so incensed with the media, he issued an edict threatening to ban journalists access to court papers. 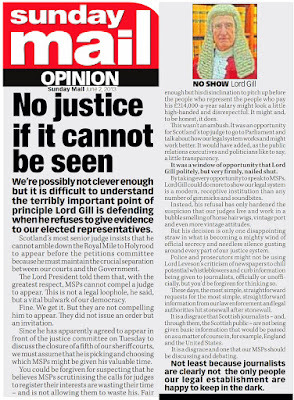 And finally, to cap off the performance, Lord Gill - Scotland’s longest serving judge and Lord President leaves the stage in a rather abrupt style after three years and retires, leaving no anointed replacement to fill the top post. 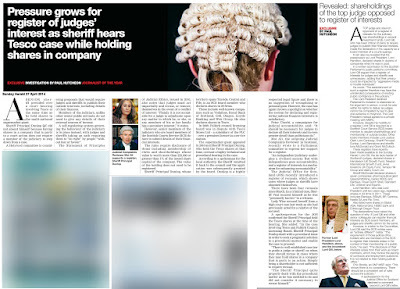 Life inside the secretive cloistered world of Parliament Hall & Parliament House, has never been so much in the spotlight. 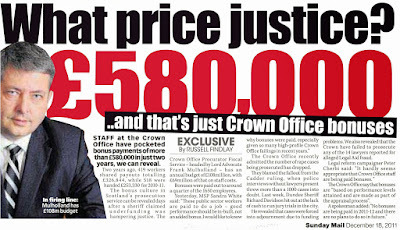 Exhibition leaflet on the £58million public spend on Parliament House However, putting all this aside for a few weeks while judges jaunt off on holidays to the likes of (name a dictatorship, tax avoidance haunt or junket destination here), our great Parliament House justice complex stands open at the mercy of the Edinburgh Fringe Festival, ensuring those of you who wish to see how the [square] ‘wheels’ of Scottish justice have managed to chug along for the last 500 years. 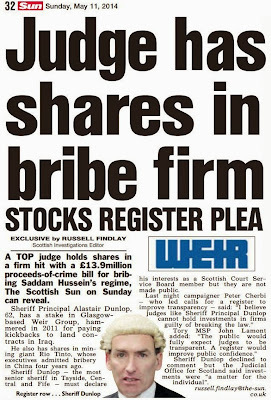 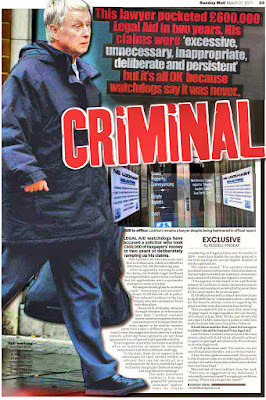 You, the public paid for it, all £58 million and much more over the years. 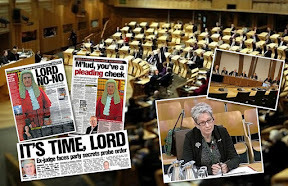 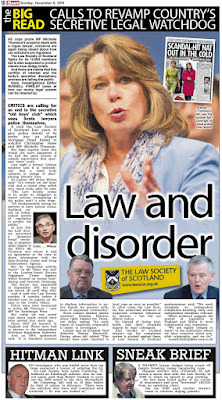 So, in this traditionally wet Scottish summer, why not take a few hours out of the next two weeks to visit what many legal insiders will tell you – is the true seat of power in Scotland – Parliament Hall - where frowns from judges and lobbying from the almost lethal and very legal ‘establishment’ can effectively skewer legislation from our democratically elected sovereign Parliament at Holyrood. 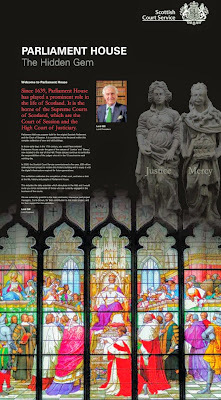 ‘Parliament House, The Hidden Gem’, features colourful, life size panels on the history, traditions and work of Scotland’s supreme courts. 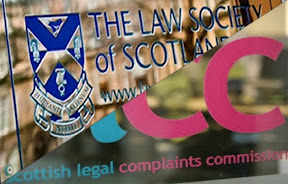 The exhibition will be open weekdays, Monday to Friday, 10:30 to 16:00 as venue 402 for the Edinburgh Fringe from 7 August to 25 September and then for Doors Open Day on Saturday 26 September. 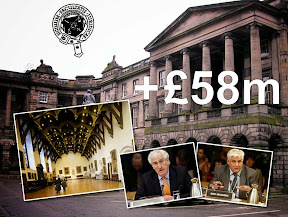 It was created to mark a five-year, £58 million refurbishment of Parliament House completed on time and under budget. 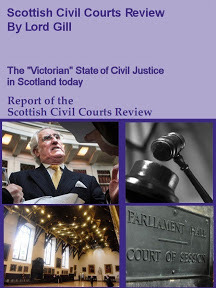 The work modernised the 17th century, 700-room building, while preserving its traditional courtrooms. 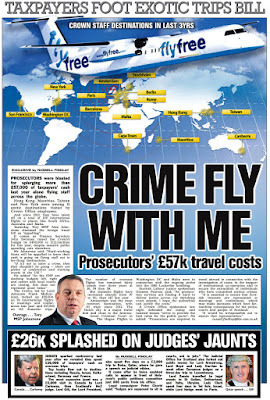 Well worth a visit, for £58million. 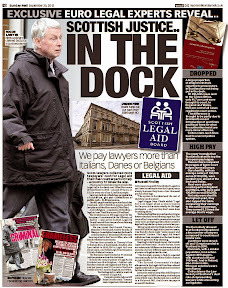 For a second I thought that was Santa Claus standing behind the blue rope! 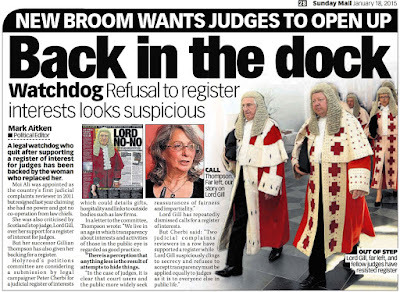 What a daft outfit for a court.Anyone want to tell these judges it is 2015?!! 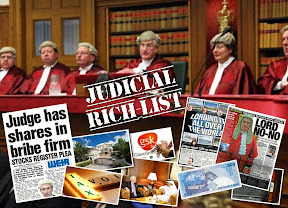 Just a PR exercise for the judiciary what is the point of going when you have already exposed the lot as crooks! 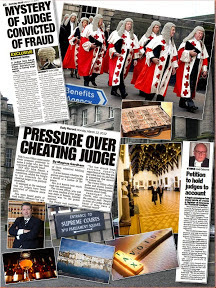 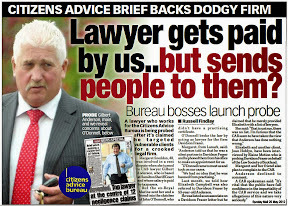 £58m spent on fixing a court a friend of mine had to wait 5 years to get into and then told his case was time barred.Complete waste of time and money much like anything connected to lawyers.Notice no one refuses their £58m they just get to spend whatever they like it was probably a lot more than £58m and we will never be told. 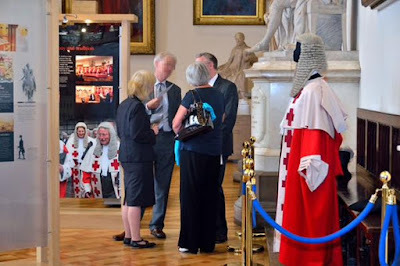 From the picture it does not look like they want any ordinary people attending,more like another gathering for the legal fraternity.Gatecrashers not required! 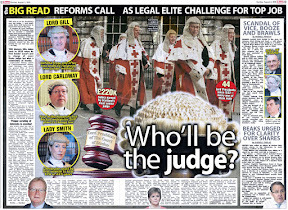 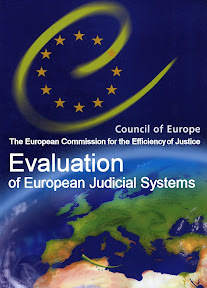 £58 Million spent on a power symbol for the judiciary? 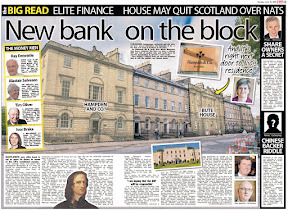 They would have done better building a small hospital facility or school.